Graded VG 40 by SGC. Very attractive sample card from the N300 Mayo’s Cut Plug series. Abbey played only five seasons in the Major Leagues, but he did bat .314 in 1894 while with the Washington Nationals. The card is crisp and clean, with virtually no wear to the condition-sensitive edges and corners, near perfect centering, and outstanding contrast. 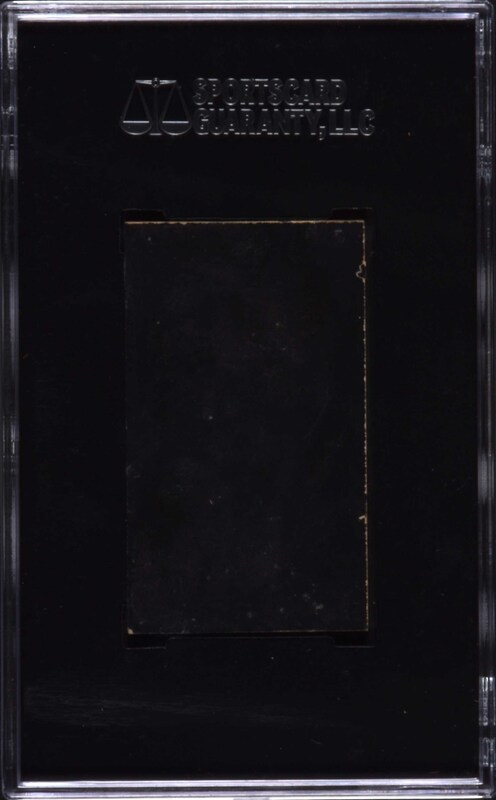 The back displays minor adhesive residue, possibly from at one time being in an album, which is responsible for the modest assigned grade. 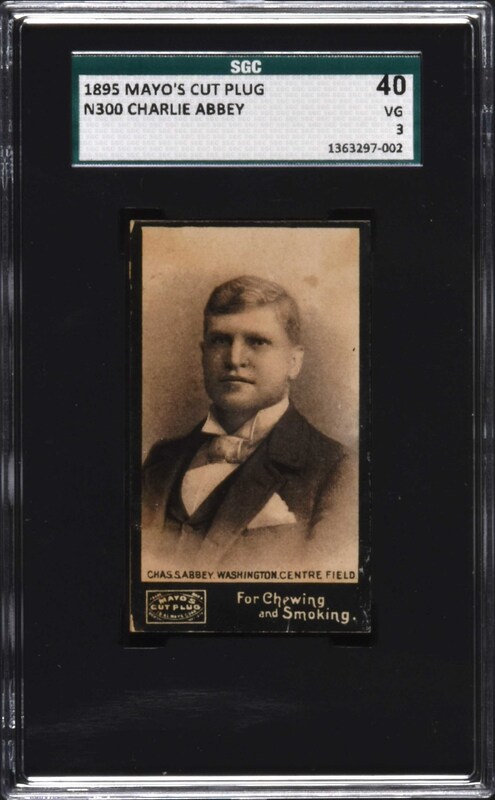 Tremendous street-clothes variety sample card from the premier baseball card set of the 1890s. Reserve $200. Estimate (open).